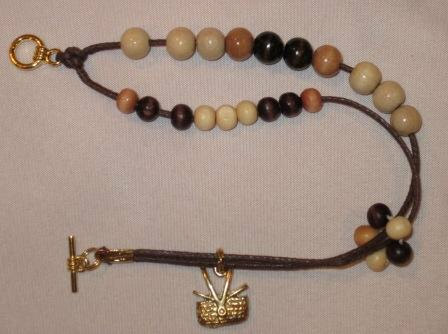 Wooden beads, a basket charm and easy toggle to attach it to your wrist or current knitting. Get one for each of your projects, and, if you forget to take it off, no problem! It’s pretty stylish too. Click on over to KnitNSewStudios Etsy Shop, HERE to get yours!